The Turtle-head, or Snake-head, is one of three species that are natives of eastern North America. This plant is well supplied with common names, as it is also called shellflower, cod-head, bitter-herb, and balmony. Though commonly found in low altitudes, it is found in moist places in the Adirondacks, even at a height of three thousand feet. 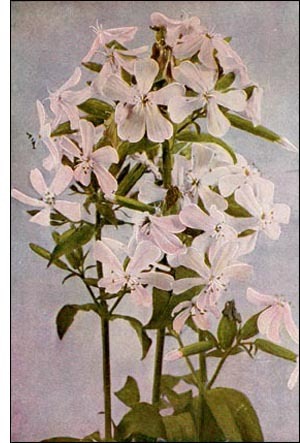 This plant is not rare, and, with its upright stem and its rather large and clustered white or slightly rosecolored flowers, it is a dignified and beautiful feature of any floral community.